Anonymous #4: Let’s just say that… I never went out on dates ‘til late last year? Huhuhahafalalalagooblegooblegooble! 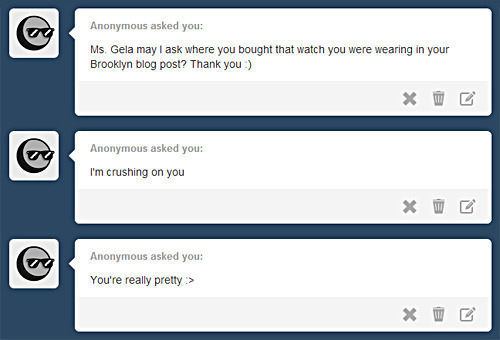 Anonymous #5: I have 1 ex and his name’s Adam Brody….I wish huhu! I’ve never had a boyfriend before so, zero, zero exes. If legit “MUs” are counted though …2 and ½? HAHAHA! HAHA! These questions you guys! :)) Anyways! Hope those answers were beefy enough for y’all!